*DIVINE614OPLN3 Offer is valid September 9th until October 27th, 2015. 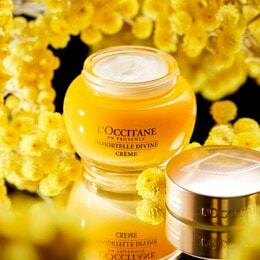 Redeem coupon for Free 8ml Divine Cream Sample while supplies last at your local L’OCCITANE boutique (no purchase required) or Online with any purchase. Plus receive $5 off any $30 min. purchase. And Free Shipping on any Online purchase of $30 or more. 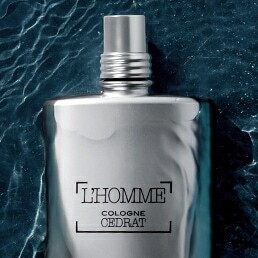 Offer not valid in L’OCCITANE outlet stores or in its wholesale partners. Offer can be used only once. Coupon must be presented at time of purchase to redeem. Cannot be combined with any other offer, coupon or discount. One coupon per customer. No reissue or reimbursement for lost or void coupon. Not applicable toward prior purchases, gift cards, shipping fees or taxes. Please present printed coupon or display on mobile device to redeem Offer in store. Use code DIVINE614OPLN3 at checkout. Online: enter unique code at checkout. By redeeming the Offer, you agree to be bound by these terms and conditions. Almond Milk ConcentrateNet Wt. 7 oz. Immortelle Precious CreamNet Wt. 1.7 oz. Certified Organic* Pure Shea Butter5.2 oz. Immortelle Precious Night CreamNet Wt. 1.7 oz. Immortelle Precious Eye BalmNet Wt. 0.5 oz. Cade Complete Care MoisturizerNet Wt. 1.7 oz.